The Christmas season at Hollywood Studios is highlighted by the Osborne Lights. 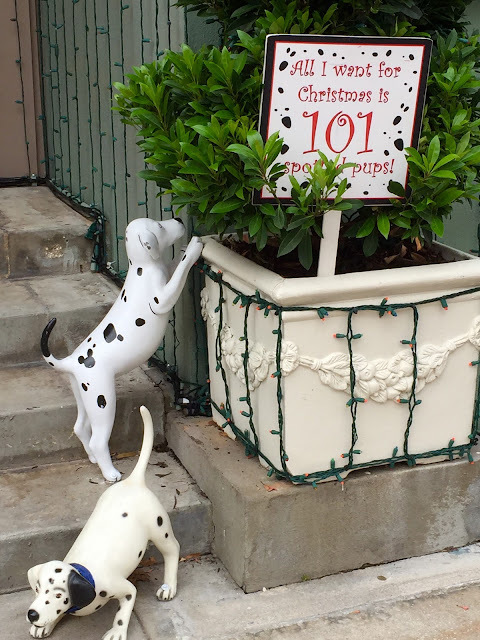 Along with the lights, there are many additional decorations and holiday props all around the Streets of America. 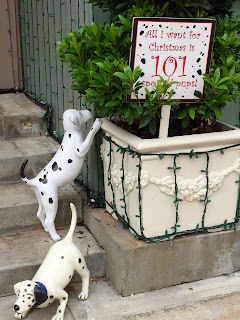 This "101 Dalmations" display is located toward the end of the San Francisco street. I like the hidden Mickey near the tail of the standing dog!